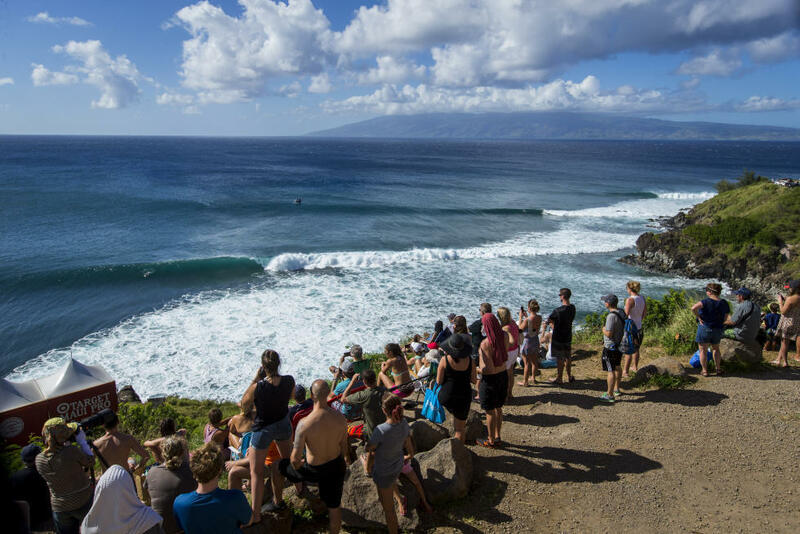 HONOLUA BAY, Maui/Hawaii - The Target Maui Pro came to a phenomenal close today with the world-class Honolua Bay delivering perfect four-to-six foot (1.5 - 2 metre) plus waves to close the season for the world’s best surfers. Action was incendiary from the start with the 2015 WSL Title clinched for now three-time World Champion Carissa Moore (HAW) as underdog Coco Ho (HAW) eliminated title challenger Courtney Conlogue (USA) in this morning’s Round 4 heat. Moore’s historic day didn’t end there as the Hawaiian powerhouse took full advantage of pristine conditions and building swell, rampaging her way through the rounds and into the Final where she posted an astonishing 19.50 (out of a possible 20) - earning a unanimous 10 (out of a possible 10) - to claim her second, consecutive Target Maui Pro victory. After a season-long battle with Conlogue which saw the Jeep Leader Jersey switch back and forth multiple times, Moore was filled with immense respect for her Californian contemporary. 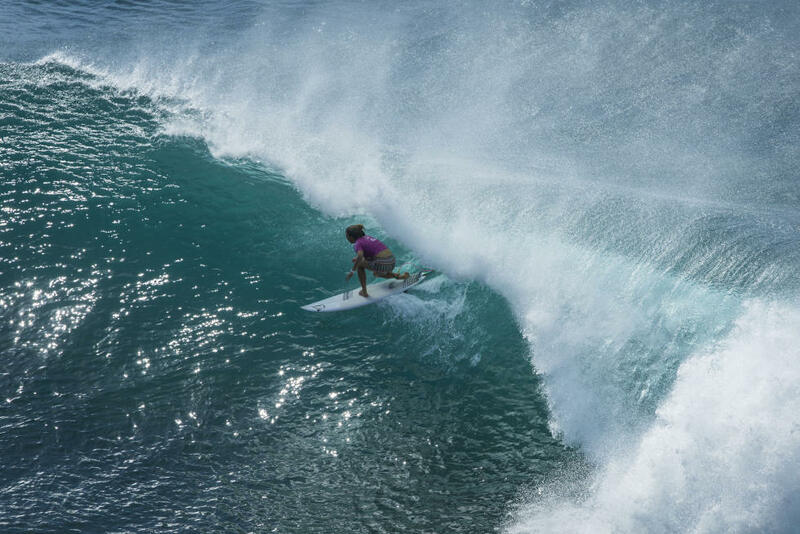 2015 WSL Runner-Up Courtney Conlogue (USA) is coming off her best Championship Tour (CT) performance in her five years on tour, but couldn’t find the scores she needed to top Coco Ho (HAW). 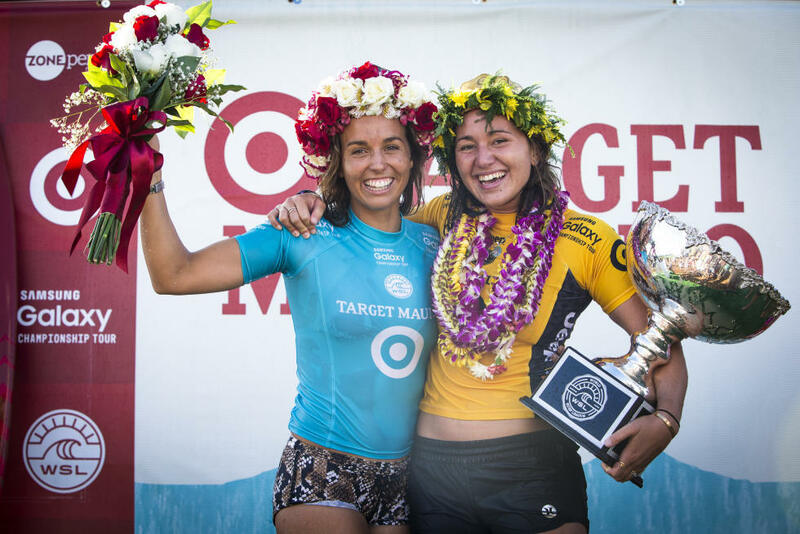 Earning runner-up at the Target Maui Pro, an in-form Sally Fitzgibbons (AUS) dropped the event’s second-highest score with a 9.83. 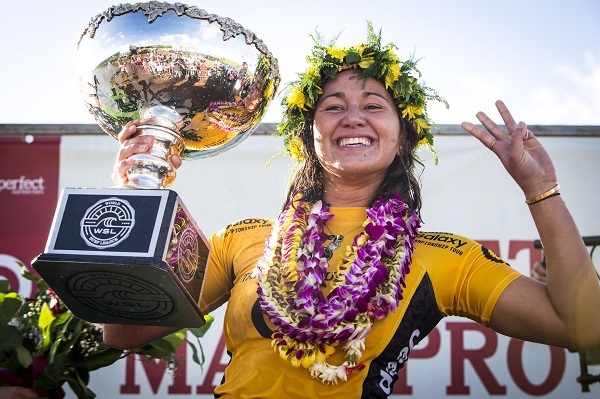 The Australian looked unstoppable until meeting the 2015 WSL World Champion Carissa Moore (HAW) in the Final. Earning her own incredible barrel ride, Fitzgibbons was still in the combination situation, meaning she needed two new scores to overcome the difference, with a 9.23. Charging her way through to the Semifinals, eliminating Conlogue in the process, Coco Ho (HAW) couldn’t find the scores necessary to overtake Fitzgibbons to meet Moore in the Final but was elated with her performance at Honolua Bay. A standout at the Target Maui Pro, Alessa Quizon (HAW) ended her campaign with a Semifinal appearance against the new World Champion, Moore. Closing the 2015 season with her best performance of the year, Quizon will take everything she’s learned this year and apply it to 2016. 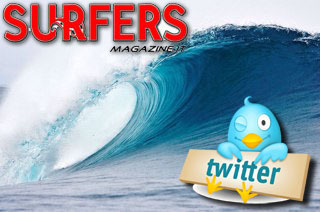 The 2015 men’s WSL Champion will be decided at the upcoming Billabong Pipe Masters in Memory of Andy Irons, taking place on Oahu. 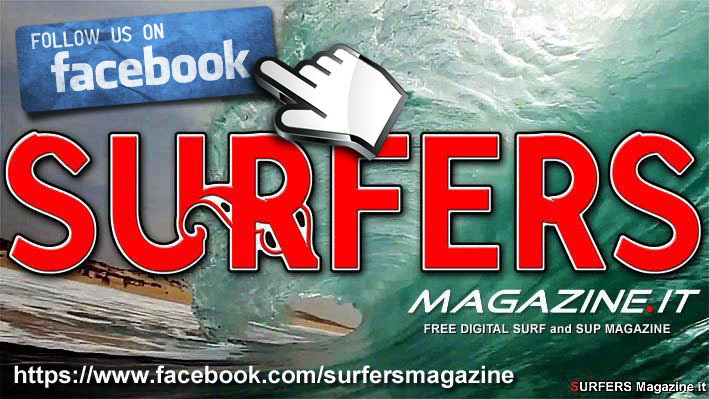 Six contenders from two nations -- Mick Fanning (AUS), Filipe Toledo (BRA), Adriano de Souza (BRA), Gabriel Medina (BRA), Owen Wright (AUS) and Julian Wilson (AUS) -- are all within striking distance for the world surfing crown.